As writers, good knowledge of grammar can only help you in your writing projects. I always assume that everyone has the same grasp of basic grammar rules as I do, but you know what they say about assuming things. When I was in high school, a woman named Mrs. Landreth taught me everything I know about grammar. In fact, I still refer to the notebook I kept in her class. Not everyone has a Mrs. Landreth. I guess that’s where I come in. One of the easiest grammar lessons I can teach you is the difference between (ha) the words between and among. You should use the word between when referring to two subjects. For instance: Mr. Brown lives between Mr. Pink and Mrs. Gray. What do you think of this little grammar lesson? 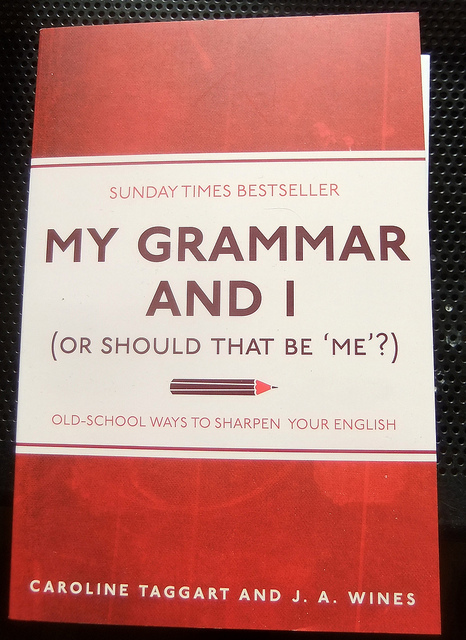 What other grammar questions would you like to see answered? I still struggle with the use of “that” and “which”. I’ve read that (ha) the former is used to introduce non-essential phrases in a sentence and the latter essential phrases, but I think I need an extra tutorial on the same. Maybe this time will stick well enough for me to use them correctly without thinking too hard about it. I am aware how basic this sounds, but could you please do a comparison of effect vs. affect? Multiple teachers have attempted to explain this to me, but they have all differed in explanations. Thank you. Thanks for the feature! It helped a great deal.